I've had death anxiety since 2014. It was the worst year of my life and I lost so many people - my aunt, cousin and friend all passed away that year. Since it started there have been chunks of time where I’ve spent months indoors and there have been whole weeks where I’ve just stayed in bed. I had my first panic attack after my dad died and after that they became pretty frequent. Any time I have a headache, or a bit of blood in my mouth, I’m convinced that I’m dying and I keep thinking that I have cancer. I’ve lost count of the number of times I’ve been to hospital – it’s in the triple digits now. 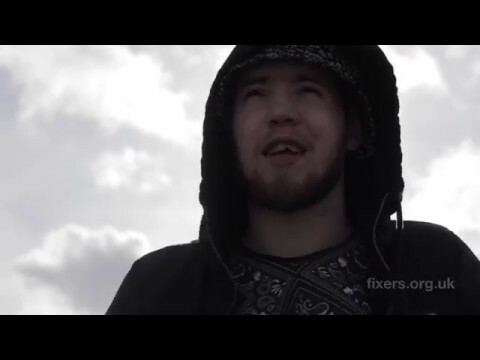 I've made the film with Fixers to show other young people like myself that anxiety doesn't mean you're weak and that there are people out there who can relate. My story was picked up by The Mirror and Metro. Click on the links or the image below to view the article. My local newspaper, Manchester Evening News, ran an article about my Fixers campaign. I wrote a blog about my death anxiety that appeared on Welldoing - a website featuring news about therapy, wellbeing and self-development. Click on the image below to view it.